Hi all. First of all my thanks to Visit Sithonia for asking me to out a few words to paper about the region. I am a regular traveler to Greece, I spend most of my time at a town called Nea Kallikratia, which is approx. 35 km from Thessaloniki on the Chalkidiki coastline. I have been coming to Greece for the last 10 years, and even with all of the economic problems Greece is undergoing all I can say is WOW!! One thing I have to do when I get to Greece is hire a car, as it ties in with my second profession, a photographer. I have traveled all over the northern areas and places in mid Greece, I have driven the furthest points north and also last year over to Lefkada and back. So my knowledge of this amazing country is pretty vast. Along the way I have met some truly amazing people to whom I have spoken. Listened to and spent many a good night with great company listening to their life stories. The only remaining feat of Greece is the truly amazing places, far too many to mention in one document. However there is one region which, I proudly have a massive love for.. SITHONIA. Why? Am I just saying that because I am writing a document about it? NO!! Absolutely not. I have written a few reports of my travels over the years, given acclaim to some truly amazing and magical places including Sithonia and the towns that populate it but never a concise report on the region as this is going to be. When I first came to Greece an ex friend took me to Kassandra, at first I liked what I saw but the further south we went the more I disliked it. We ended up in Hanioti and I am sorry, I could not wait to get out of there. For me it was like a crappy UK beach town ruined by the Brits who visit there. OK it may well be a good party place but if I wanted that I would have gone to one of the towns in the UK. The northern part, yes, I like that but it did not instil any passion in me to return, so I have not. This did not bear well with me for a long while and so I was not too bothered about the other peninsulas (Sithonia and Athos). Another couple of trips later I decided one day to drive to Nikiti, again not expecting too much when I got there, but, oh boy, was my mind changed when I saw the beachfront. WOW, it was gorgeous. 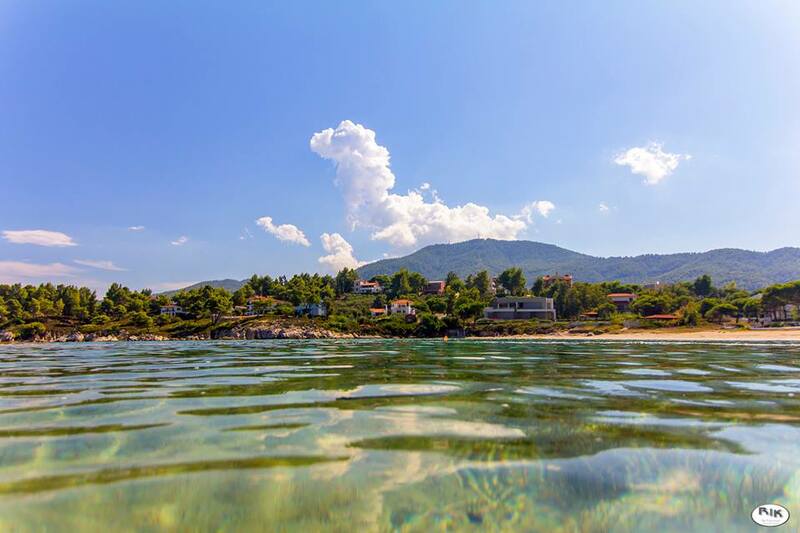 Beautiful calm waters, a wonderful natural beach not too over built, in fact a good balance of buildings giving a pleasant sea front with beach bars served by local tavernas. Perfect. Best of all.. NO BRITS!! This was more like it, hmmmm what else did Sithonia have to offer I asked?? A couple of days later I had an argument with my wife, and steaming with rage got in the car and drove, I needed some peace, solitude, to be away from anywhere I knew, I know, back to Nikiti. That was the intention, however being the stupid fired up person that I was I missed the turn, the next thing I knew the sea was on the wrong side.. WTF?? How can that be, the sea should be on the right, not the left… So I carried on, saw a sign for a place called Vourvouros.. Where the hell was I? So, I got to Karidi Beach and Oh My God, I had stumbled upon paradise. Well from there the rest is history. I had to find out more, what was this amazing place Sithonia about? What secrets does it hold, time to explore. In 2012 I undertook a few days dedicated to Sithonia, every day driving from Nea Kallikratia to Nikiti, looking at the map and then driving along the coast towards Neos Marmaras checking every beach along the way, Kalogria, Elia, Lagomandra, Tripotamos and so on and each time WOW!! Absolute perfection. And this was just the West Coast, so off to the east coast, Vourvouros, Ormos Panagias, Sarti, Kalamitsi. Every time at every beach the incredible wondrous nature of Sithonia is laid bare in front of you and apart from Sarti and Neos Marmaras each is totally left to nature to fend for itself giving you the ultimate beaches on which to kill some time, add to that the gorgeous and clear waters it is a region I cannot fault. 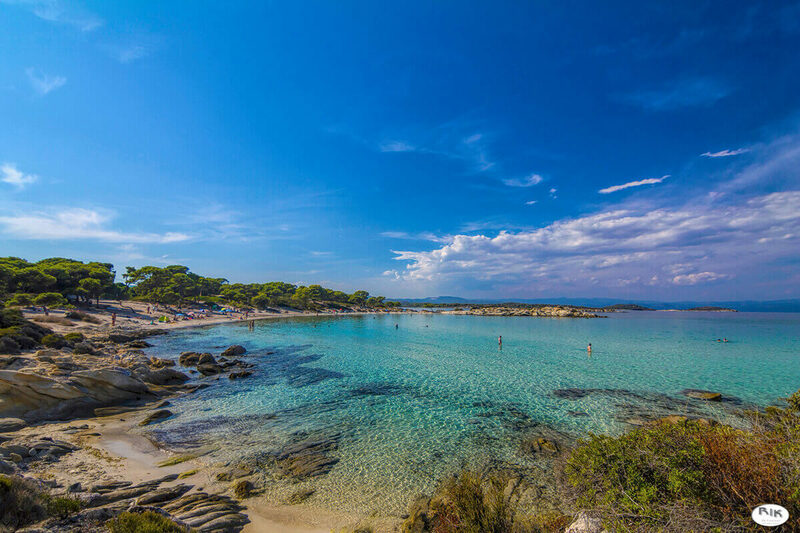 It ticks all the boxes for me and every time I visit I have to go back, I have to feel to be a part of the incredible nature that Sithonia offers. I wrote a guide a couple of years ago, a 4 days road trip around Sithonia, you see you can start at Nikiti and no matter what way you go you will end up back in Nikiti, you can do it in one afternoon but that would be going may too fast giving you no time to explore this amazing place for yourself. Give it 4 long days and you will appreciate where I am coming from, for instance from Vourvouros the coast road undulates up and down some steep hills, the views are tremendous, the further south you go the more incredible views you get of Mt Athos on the next peninsula, which then becomes your horizon the further you go. Get to the top of a hill and look down, the road goes down into a valley, and what is there a beach. WOW, onto the next, another beach and so it goes on, some beaches are inaccessible from the road and a couple I have seen some pretty nice yachts berthed in the bay and in one case helicopters on a beach. Oh yes, if you want exclusive and private Sithonia has it by the bucketful. And so you carry on, hit the next town of Sarti and come back to a beautiful normality of real life. A gorgeous resort town that I have no qualms about revisiting at all. Take a walk along the backstreets, see the incredible flowers on display from the balconies, grab something to eat from the many tavernas that are there, a drink on the beach. If you want paradise at a good price you have just found it. From Sarti carry on, you will come across an abandoned housing project with all the roads, pavements etc. in place, the only thing missing are the houses, be cautious though. Turn onto the estate and be ready to get lost because once on, all the roads look the same and it may take a while getting back to the main road. Back on the road you will come to a junction with a sign pointing one way to Nikiti, the other to Vourvouros, you have hit the mid-way point, but, carry on. 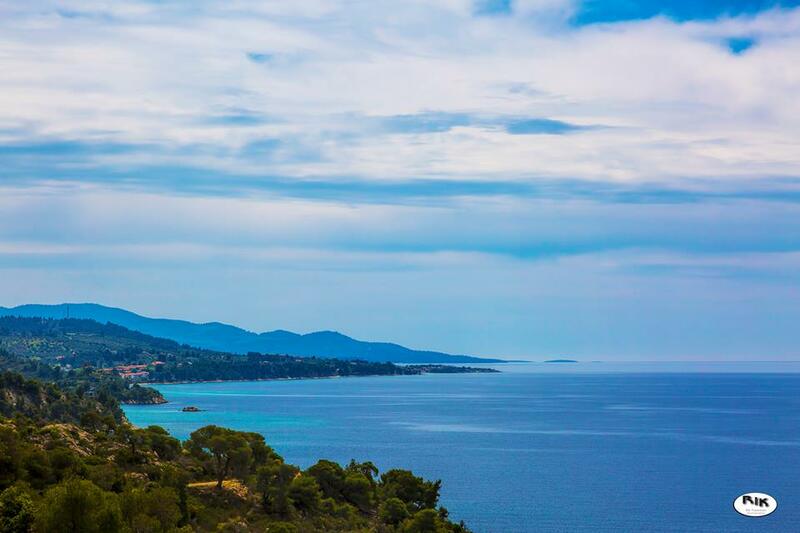 Head to the tip of the peninsula and witness the stunning sight of Athos one side and Kassandra the other. You then head north towards Porto Koufo, drop by Toroni on the way, a simple little beach front town with yet another gorgeous beach to kill time on. From there past Porto Koufo, or drop in it is up to you back towards Neos Marmaras. When you get to Marmaras you will find approx. 4-5 points of entry along the main road, if you want the new beachfront area head for area D, you will be on the new seafront area with an amazing beach and plenty of bars, taverna, hotels and apartments to rent etc. If you want to see the traditional and gorgeous seafront town of Marmaras carry on for area A/B/C. Be wary though, the old town is set on a very steep hillside so getting around can be tiresome even for the car if you take a wrong turn, however once there you will love it. 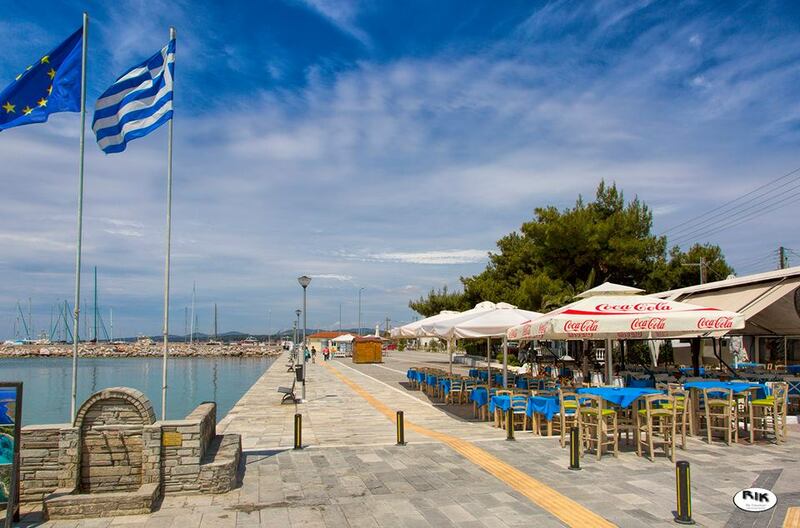 On the seafront/port are some ideally placed café’s and tavernas offering you plenty to eat/drink at more than reasonable prices. Parking is easy with a large car park on the dock side although it does get really busy in the summer weekend months. After Marmaras you head back up towards Nikiti, and, another day you can waste just exploring the beaches along the way, all are very close to the coast road so stopping off is never a problem. It is not often you come across a place that has so much to offer, and for a whole region to offer this is just amazing. I have to thank the councils for not allowing too much development there, it would spoil what nature has taken so many millions of years to develop for us mere mortals to appreciate. I hope that in time, you will take my advice, go and see for yourself and I hope fall in love with a region that I cannot praise more, add to the places the wonderful people you will meet I promise, you also will not like Sithonia, you will LOVE IT!!! !